Why yoga, mindfulness and relaxation for teachers? Yoga and mindfulness techniques, practiced regularly, can have a profound influence on both managing and drastically reducing stress. ​They have been found to help create greater resilience, enhancing one’s ability to stay centred in challenging situations; calming the central nervous system and promoting feelings of health and happiness. ​Relaxation is one of the keys to staying balanced. Teachers, in fact all us grown-ups, can be over-worked and constantly on the go with little time to let go and just be. Having unstructured time for relaxation is vital for good health. It enables us to be in the most optimal form for our selves and for those around us. It is imperative that we model this way of being to children. In doing so we are giving them the skills to stay in healthy balance, and creating valuable habits, that will help them move through different phases of their development. There are so many benefits, hmmm... where to start? Perhaps with a definition of "yoga"! By that I mean - movement, relaxation, breath work, meditation and also mindfulness as this adds an extra depth to all the above. Yoga is a great way for us to be able to say to our kids - "hey, let's get to know ourselves better". It brings about a deeper understanding of who we are, how our bodies can move, how to make friends with our breath, how to connect with our feelings and take control of our minds. Through all the different elements of yoga we're giving our children personal skills, developing a strong core and inner strength, resulting in greater resilience to deal with many of the challenges they may face in the world today. As well as yoga being a personal inward journey that is non-competitive, it can also be a great tool in building social connections with other kids. One of the benefits of yoga is more love and acceptance of self with the wonderful side-effects of greater connections, acceptance and respect for others! The yoga journey, with it developing greater awareness of self and others, doesn't end there. It invites us to feel our place in the world with a deeper awareness of the elements and our natural environment and how we interconnect with them so we can contribute to life in a more positive way. In a nut shell...it's through discovering the perfection of who we truly are that we can tap into our greatest potential... it's through our offerings out to others and to the world that we feel we have purpose...and it's through having purpose and a sense of value that we experience deep happiness. Pretty cool skills and life lessons for kids to learn at a young age! Friday 28th April at Griffith Neighbourhood Centre 4–6pm. Bring your child and inner child along for a taste of Deer's long journey and his wonderful discovery. 16 years ago I did my first yoga class with Trish Brown. It was a saving grace for me at the time as I found myself in a new city with few friends, a toddler & new born baby and then suddenly.... a single mother. My life had been turned upside down... I guess you could say "I had hit rock bottom"... but week after week, one class after another, I found a new strength coming through me. I decided that one class a week wasn't quite enough and so started the Dru Yoga Teacher Training. Before long I found a new me shining through! It was while on this course I first heard the story of the musk deer which really struck a chord in my heart. Over the years I've shared this story with many children in my yoga classes and now it's in a book for you to share with your children and their children...and their children. My dear teacher and friend, Patricia Brown, will be opening the launch this coming Friday who will no doubt share her insightful vision and some words of wisdom. The delightful illustrator, Yuti McLean, will be travelling down from her home in Northern NSW for the launch and my inspirational friend and talented book designer, Mouli, will also be present. I would deerly love you to come to help me celebrate the birth of Deer-lightful into the world and to help Deer take His first steps forward. There will be an opportunity to experience the story too so bring any young ones in your life along! Light refreshments available during signings of the book. I'm very excited to be writing my first post ever, and in it I'd like to give you a taste of the fun, joy and playfulness that teaching yoga to young ones can bring. Teaching children and teens is not only something that is really worthwhile for them, but is therapeutic for us. Imagine a life where you can get up in the morning knowing that the day is going to bring you opportunities to do yoga, to sing and dance, to play games, to connect, to create, to laugh, to play, to relax... to let the inner child free. What a way to make a living! 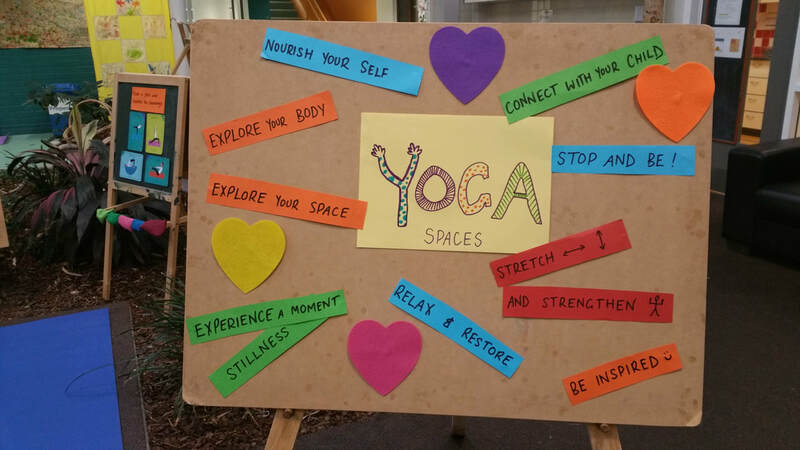 Based in Canberra, Suzanna runs a highly successful yoga business, teaching yoga to people of all ages—mums and bubs, children, teenagers and adults... to the young and the young at heart. I'd Love to Hear from You, no matter where you're from!